Abu Ja‘far al-Ṭahāwī (d. 321/933)’s Aḥkām al-Qur’ān, which is thought to consist of four volumes, is one of the first works ever written in the field. This work consists of the first two volumes of the only available copy al-Ṭahāwī’s book that has been recently discovered and that is one of the earliest works in “Aḥkām al-Qur’ān” genre. 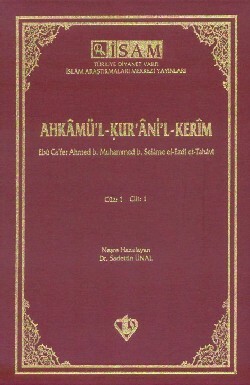 One of the important features of this book, which is believed to consist of four volumes, is that it has been written in accordance with the chapter headings of Islamic jurisprudence. This book by al-Ṭahāwī who is one of the prominent jurists of Hanafi school is a source that will be of great benefit to the researchers and readers interested in several disciplines of Islamic sciences such as Islamic law, qur’anic exegesis, and hadith. 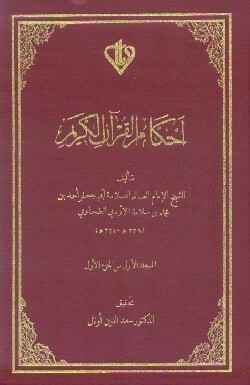 The book is in Arabic.